Female and male bats are known to remain separated within their large colonies until mating season comes around. In such masses, it is easy for them to find a mate right away. During mating season, it is common for impregnated female bats to form a large group called a maternity colony. This sub colony can contain hundreds of mother bats and baby bats, called pups. Spring is the normal breeding season and breeding time for bats, just as it is for several other mammals in nature. Springtime means outdoor temperatures are warmer, food resources are abundant, and their natural habitats are ideal. This is not only a comfortable period of time to breed, it is a safer one as well. In just one breeding season, a female bat can deliver anywhere from one to a few litters; however, bats typically only giving birth to one pup at a time. It isn’t always easy for mommy bats to care for their pups. Not only does she have to continue flying around in search for food while pregnant, she has to be sure to find enough resources to last during hibernation and cold seasons. When baby bats are born they are only about an inch long. They drink milk from their mother’s teats; while remaining attached to their bodies for the first few weeks of their life. This is because when baby bats are born their wings are not fully developed, making them incapable of flight. Sometimes mother bats keep their baby bats in their tail pouch, depending on the species of bat. Most of the time, mother bats will leave their pups in the maternity colony while they go out in search of food. When they return, mother bats locate the baby bats by their smell and a voice. Even in a crowd of hundred bats, a mother back and always locate pop out of all. Once a baby bats’ wings are fully developed, they will be capable of going out on their own to search for food. This process to becoming independent can take anywhere from six weeks to four months, depending on various circumstances. Again, it all depends on the species of bat. Although bats are fascinating mammals that we can appreciate the more we learn about them, they are not safe to have and are around your property. 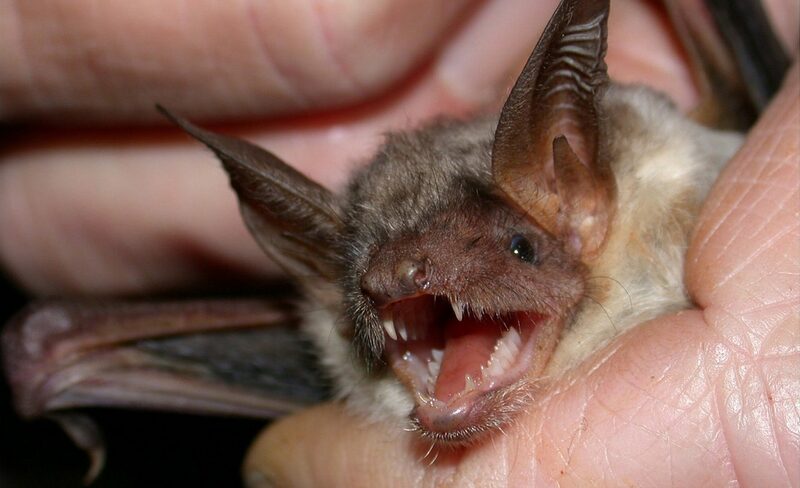 Bats can carry diseases and even harm pets and humans provoked or frightened. If you suspect that you have bats in the attic, or anywhere else inside or outside your property, contact an Indianapolis Bat Removal company right away. The longer you wait to fix a bat infestation problem, the more damages and costly repair bills you can expect. Call 317-535-4605 to request a free estimate for Indianapolis bat removal services, today. We are DNR licensed and insured, and can provide commercial or residential bat removal and control services at competitive prices. We also offer bat proofing, cleanup services, attic restoration, inspections, and emergency bat removal service. Call 317-535-4605 to get rid of bats in Indianapolis, Indiana. This entry was posted in Bat Facts and tagged bat breeding season, bat facts, bat pups, bat reproduction, Indianapolis Bat Removal, mother bats. Bookmark the permalink. What Do Bats Eat in Indiana?